Home » Blog » Short vs. long-term vacation rentals: Which is better? Short vs. long-term vacation rentals: Which is better? Purchasing real estate that will be turned into a vacation rental is not only a great investment. It can also generate a steady flow of additional income. There are usually two strategies to tackle vacation rentals. You either have it leased for the short or long term. If you are unsure of which path to choose, continue reading to examine the pros and cons of both approaches. Short-term rentals, as the name implies, are real estate properties that are leased out for short periods of time. It can be for a night or two, a couple of days, or a week. 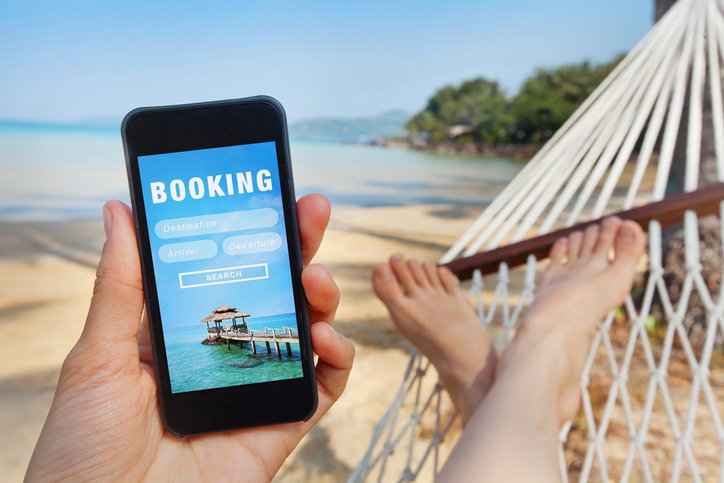 Holidaymakers usually book vacation rentals through a variety of platforms such as Airbnb and HomeAway. As the owner of the vacation rental, leasing it out on a short term basis allows you to block off specific periods of the calendar. It could be because you’re going to use the property, or a family member will. Most importantly, you won’t stress out any of your prospective tenants. If you want to qualify for tax breaks or even deductions, renting your property on the short-term is the best course of action. To be sure, however, check with the local government about the tax breaks you can avail should you meet the requirements. Since visitors will come and go through your property, you need to keep the home in perfect condition to get those positive reviews. You might need to hire extra help to make sure the rental is thoroughly cleaned after guests have departed and before the new ones check in. Short-term rentals are at the risk of not making (or even losing) money during off-peak seasons. While there are many ways to avoid this (such as setting promos and fluctuating rates), these methods won’t always attract bookings. The opposite of short-term rentals, these properties are leased for longer periods of time, such as a month or two. Tenants pay their rents monthly and shoulder their utility bills. Since you are renting to long-term tenants, you won’t need to worry about factors such as seasonality and high turnover rates. Most importantly, you will have a steady source of income, at least while the property is being rented. To make sure your property will be protected from damage during the tenancy, you can charge a security deposit. A lot of long-term tenants usually bring their own furniture with them. While it helps to provide the essentials, such as kitchen and laundry appliances, you can keep the furniture spartan and let the tenant furnish the home as he or she sees fit throughout the duration of his or her stay. When you manage a long-term vacation rental, it means you will have to relinquish some control over the property. You need to trust the tenant to keep your property clean and well-maintained during the specified period. Moreover, you won’t be able to block off calendar periods as with short-term rentals. This makes short-term leasing attractive to homeowners who want more flexibility when it comes to planning their own trips. Leasing out your property on a long-term basis consequently means you have to screen tenants properly. You need to make sure they will take care of the property and make the payments on time. This is not an issue with short-term rentals, where prospective tenants can simply book the property using a third-party websites like VRBO and HomeAway. Such platforms already require users to verify their identity and information for security reasons. When it comes to vacation rentals in Lake Wedowee, there is only one company to turn to. Contact Wedowee Lake and Lands Realty, LLC today at 1-256-357-9600.